Don’t screen for ovarian cancer in asymptomatic women at average risk. In population studies, there is only fair evidence that screening of asymptomatic women with serum CA-125 level and/or transvaginal ultrasound can detect ovarian cancer at an earlier stage than it can be detected in the absence of screening. Because of the low prevalence of ovarian cancer and the invasive nature of the interventions required after a positive screening test, the potential harms of screening outweigh the potential benefits. As a national medical specialty society, the American College of Obstetricians and Gynecologists relies on the input of any number of its committees in the development of various documents. 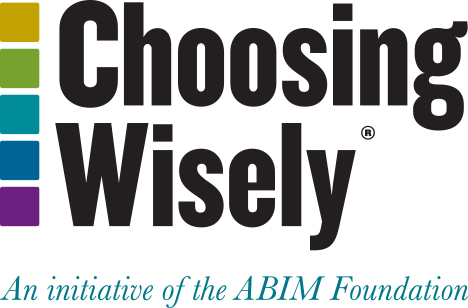 In the case of the items submitted for the Choosing Wisely® campaign, input from the following committees was solicited: the Committees on Patient Safety and Quality Improvement; Obstetric Practice; and Gynecologic Practice. A literature search was conducted related to the initial list of approximately ten items. We then sent this list to the College’s Executive Board and asked them to select five of the items based on their potential to improve quality and reduce cost. We explained to them that the items were written to avoid complex or clinical terminology, but not at the risk of reducing the value and credibility of the recommendations made. In the case of the first two items on our list – “Don’t schedule elective, non-medically indicated inductions of labor or Cesarean deliveries before 39 weeks 0 days gestational age” and “Don’t schedule elective, non-medically indicated inductions of labor between 39 weeks 0 days and 41 weeks 0 days unless the cervix is deemed favorable” – we collaborated with the American Academy of Family Physicians in developing the final language. A list of the second set of “five items” was selected by the Committee on Patient Safety and Quality Improvement before submission to the College’s Executive Board for approval. Any comments received from the Executive Board were incorporated into the final list that was approved. The College’s disclosure and conflict of interest policy can be found at www.acog.org. Screening for ovarian cancer: Recommendation statement. U.S. Preventive Services Task Force. Ann Fam Med [Internet]. 2004 May 1;2(3):260–62. Screening for ovarian cancer: Evidence update for the U.S. Preventive Services Task Force reaffirmation recommendation statement. Barton MB, Lin K. [Internet]. Rockville (MD); 2012 Apr. Agency for Healthcare Research and Quality; AHRQ Publication No. 12-05165-EF3. Results from four rounds of ovarian cancer screening in a randomized trial. Partridge E, Kreimer AR, Greenlee RT, Williams C, Xu JL, Church TR, Kessel B, Johnson CC, Weissfeld JL, Isaacs C, Andriole GL, Ogden S, Ragard LR, Buys SS; PLCO Project Team. Obstet Gynecol [Internet]. 2009 Apr;113(4):775–82. The role of the obstetrician–gynecologist in the early detection of epithelial ovarian cancer. Committee Opinion No. 477. American College of Obstetricians and Gynecologists Committee on Gynecologic Practice. Obstet Gynecol 2011 Mar;117(3):742–6.